A worker for an anti-bullying organisation missed appointments to do court ordered unpaid work for the community. Matthew Docherty had so far only carried out eight hours out of the 80 hours payback work he had to do. Docherty, 29, of Windsor Avenue, South Shore, pleaded guilty to breaching a community order. He had an extra 14 hours unpaid work added to his sentence and was ordered to pay £60 costs. Cheryl Crawford, prosecuting for the probation service, said in November last year Docherty was sentenced to do 80 hours unpaid work for the community for breaching a restraining order. He had missed appointments to do the work on November 22 and December 20 but at the time did not produce evidence for his absences. Docherty told magistrates that he said when he was sentenced that he would have problems doing the community order as he worked all over the United Kingdom and was rarely home. A father-of-four found himself in trouble with the law when he failed to keep appointments with his probation officer. 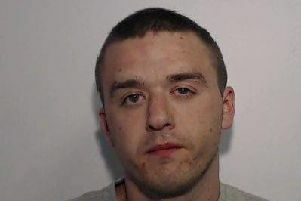 Daniel Ashworth, 27, of Branstree Road, Mereside, pleaded guilty to failing to comply with a suspended prison sentence order. He was sentenced to 12 weeks jail suspended for an extra six months and ordered to pay £60 costs. Cheryl Crawford, prosecuting for the probation service, said Ashworth had been re-sentenced after breaching two community orders to 12 weeks jail suspended for 12 months with up to 25 days rehabilitation to be supervised by the probation service for domestic violence assault and causing damage. Ashworth had failed to keep appointments with his probation officer between January 8 and 9. Out of 13 appointments he had been given he had attended four. A doctor was reported to police after he was seen drinking vodka in his car after work. Aseem Akbar, an anaesthetist, turned to drink because he was angry after arguing with his sister who he believed had taken over a family mining business. Akbar was stopped in his BMW on the M55 at Blackpool by police and found to be almost twice over the limit. The 54-year-old father-of-two, of Spencer Road, Wigan, pleaded guilty to driving with excess alcohol. He was disqualified from driving for 17 months, fined £1,143 with £85 costs and ordered to pay £114 victims’ surcharge. Prosecutor, Pam Smith, said police received information from a member of the public that Akbar was drinking from a bottle of vodka as he sat in his car on Whitegate Drive, Blackpool, on January 11 at 7.26pm . Police stopped the doctor on the M55 at 7.50pm and a breath test showed 68 micrograms of alcohol in his body - 35 is the limit. Peter Grogan, defending, said his client did private work in Blackpool or Cheadle. He was angry and upset at the time after arguing with his sister who he believed had commandeered a small mining business in Pakistan which he and his siblings got an interest in when his father died. He ran off after stealing from an amusement arcade. John Boden fled from the resort’s Coral Island amusement centre, across the Promenade, jumped in and out of a taxi then darted into another store before flinging the box containing 200 £1 coins in the air. He was sentenced to nine months drug rehabilitation, fined £25 and ordered to pay £150 compensation for damage to the machine by District Judge Jeff Brailsford. Prosecutor, Pam Smith, said a woman assistant manager at Coral Island heard a loud bang and saw Boden with the cash hopper of a gaming machine on January 13. On seeing her Boden put the cash hopper into a bag and ran out through a fire exit. He was pursued by the manager, security officers and members of the public. He ran across the Promenade, got in and out of a taxi, ran back and went into B and M Bargains, then threw the hopper into the air resulting in coins flying everywhere. Boden had a record of 70 previous convictions for theft and similar matters. Stephen Duffy, defending, said his client had a long history of offending mainly because of his addiction to heroin.